ONLY ONE BLOCK FROM HABERSHAM VILLAGE! 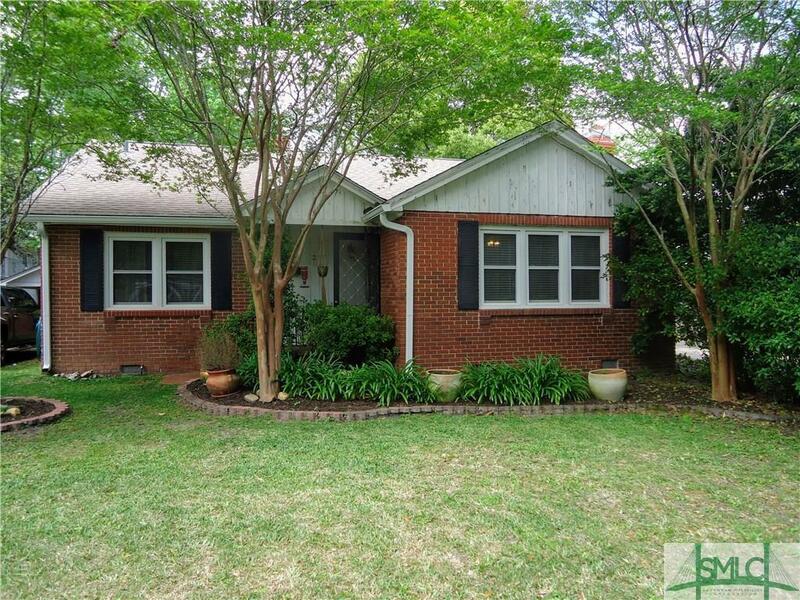 Adorable 2 bedroom, 1 bath, 1 half bath home in the charming Habersham Village area. Large rooms, wood floors, garage, carport, patio, newer windows, indoor laundry, and a third room that can be used as sunroom/ office. The big projects have been completed for you including brand new gutters, 4 year old roof, 6 year old windows, 4 year old HVAC duct work and moisture barrier. The living room has a charming fireplace, and the kitchen and bathrooms still have the original 50's era tile. There's a a patio, garage with attached carport, and fenced backyard with plenty of space to add garden beds. All appliances stay including the washing machine and dryer. This is the perfect home for residents or landlords looking for a rental property. Close proximity to parks and restaurants. MUST SEE!! !